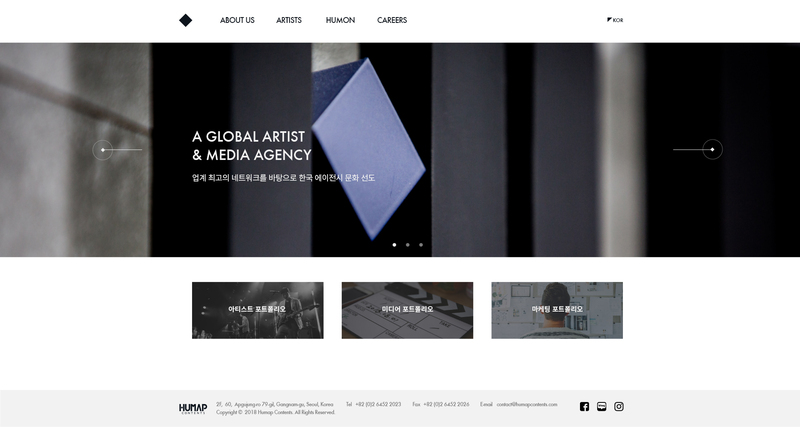 & MEDIA AGENCY	We lead the agency culture in Korea based on the best entertainment network in the industry. POWER OF STARS	We aim to offer optimized agency services that enhance artist value. GREAT CONTENT	We provide the most effective marketing solutions and trendy entertainment content.